My work compels you to touch it and absorb its energy. It’s primary quality is deep meditative presence. I am interested in the exploration of interior ‘being-ness’, and its exterior expression. My work is about the integration of spirit and matter, because for me, the human spirit expressing and moving through solid mass, is one of the most exciting and dynamic expressions of life. I utilize the medium of cementitious material. 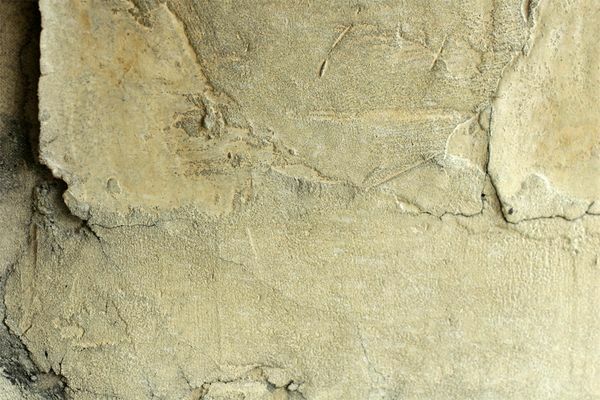 a texturally rich, ancient stone quality. The creative properties of cement have never ceased to captivate me. In the 30 years I have been working with it, I continue to make new discoveries, and to be inspired by new avenues of expression and creativity that it presents to me. William Blake’s allusion to discovering “the universe in a grain of sand” is very apropos to my involvement and love of this medium. I began working in sculpture relief in 1985. My first client was Steven Chase & Associates, a world class designer and firm located in Rancho Mirage, California. In 1987 I was selected as the “showcased artist” for the Kreiss Collection, with showrooms spanning the United States. In 1992 I began creating art tiles for Ann Sacks Tile and Stone, a division of the Kohler Company, with showrooms and distributorships worldwide. At this time, I also began working with Artistic Tile, with several showrooms on the eastern coast of the United States. I have work in Russia, China, Belize, Israel, Guam, and Canada, as well as the United States.